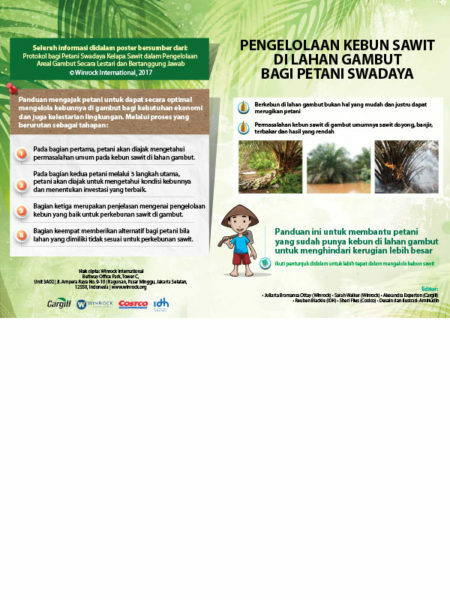 Smallholders produce around 40 percent of Indonesia’s palm oil, an amount that is expected to increase due to the lack of land suitable for new large-scale plantations. However, a lack of resources and technical capacity often leads to extremely low productivity and unsustainable management at small plantations. 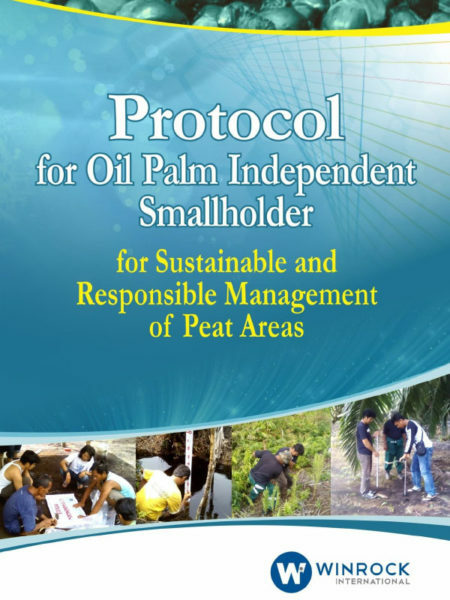 With funding from IDH, Cargill and Costco, this project will create a protocol that provides step-by-step guidance to smallholders and tengkulak (middle men) about how to identify and manage peatland areas in existing plantations and around new plantings. It will also supply instruction about management methods to restore areas not suitable for replanting. By working with farmers to apply this protocol, the result will be increased sustainability and reduced greenhouse gas emissions.